Whether you are a graphic designer, photographer, illustrator, or interior designer, creating a design portfolio can be a bit nerve-racking. There is often a lot of pressure to create a portfolio that not only stands out but accurately displays your creativity and talent. At Hipstethic, we have seen A TON of design portfolios for a variety of mediums, some that blew us away, and others that made us cringe. We understand exactly what to include in your portfolio that will showcase your talent and will attract attention for all the right reasons. We suggest cleaning out your portfolio in order to showcase your newest and most relevant pieces. Many clients prefer that the work you include is not older than 3 years. It is critical that you appear relevant and in-tune with the latest trends. In most cases, less is more. It is important to choose enough pieces that accurately portrays your talent, but you do not need to show ALL your work. You do not want your potential clients finding themselves getting bored or shuffling through over 50 pieces. Include only your best work and exclude anything you are not particularly proud of. You want your client to have a clean, comfortable experience while viewing your work. Keep it simple and easy to navigate; it is okay to be selective. Grant Burke, a graphic designer from Toronto, updates his portfolio regularly. We also appreciate how easy his portfolio is to navigate. 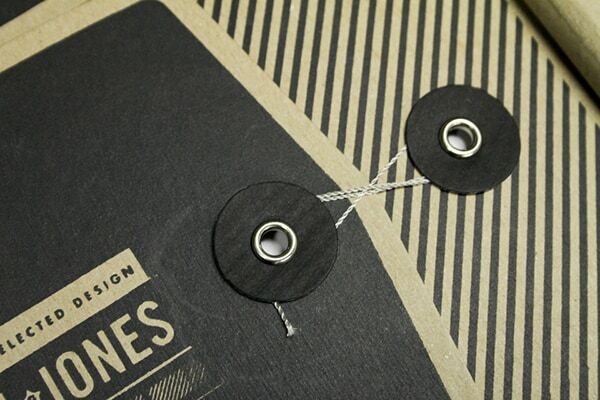 When choosing pieces for your portfolio, be sure that each piece is in-line with your cohesive brand. We like to think of a portfolio as a design collection. You do not want clients thinking that every piece is done by a completely different design. You want your audience to get a good sense of who you are as a designer, and creating a portfolio that flows nicely will help establish your brand. We love the way Olly Gibbs, graphic designer and illustrator, sticks to a theme in his portfolio. It is okay to change your portfolio based on the particular job or client you are hoping to land. Some of your work may not be relevant to what the client wants. Cater your portfolio to the position you are hoping for and what the client is requesting. If you are creating a general portfolio with no specific client in mind, we suggest designing a portfolio that will attract the type of work you are hoping to get. Think about the client you want and select pieces that will land them. Some pieces speak for themselves, but other projects may need some clarity. Many artists or clients interpret work differently, and you will want to provide insight into what the piece was for. We suggest providing brief notes or annotations for each piece in your portfolio. Include how you may have helped solve a client’s problem with your design, how the project was used and who the client was. This will allow your portfolio to not only market your work, but you as the creator. 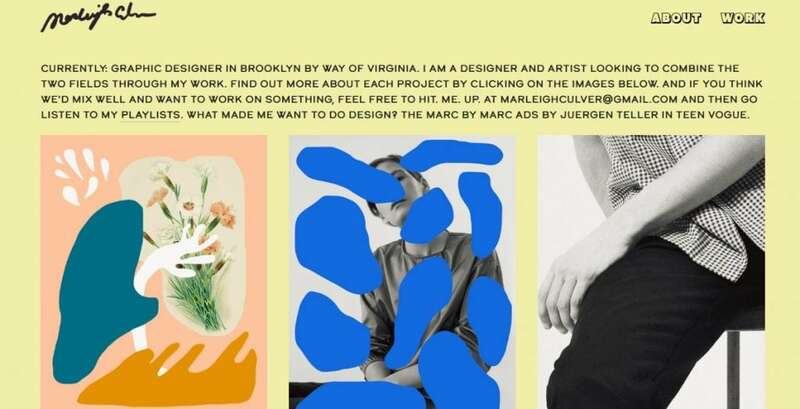 Marleigh Culver, a graphic designer from Brooklyn, has an amazing design portfolio that demonstrates how to provide context to your work. She encourages visitors to click on each image to learn more about each project. Upon clicking, she provides an explanation about the project and displays more work from that project. Should I Use an Online or Physical Portfolio? In short, we suggest having both an online and a physical portfolio prepared. Most clients prefer an online portfolio, as it is easy to access anywhere, anytime. However, physical portfolios are great for in-person interviews and particular mediums, like a print designer. We have a few suggestions for both types of portfolios. Online portfolios are great because they are always available and can find inquiries for you, rather than you having to search out design clients yourself. We highly suggest having your own domain name and website. This is not only professional, but it will make you stand out. We have a few favorite (and free!) themes from WordPress that really stand out. If creating your own portfolio online is intimidating, there are design portfolio platforms you can use to showcase your work, which makes things a bit easier. We personally like Squarespace, Viewbook,Fabrik and Pixpa. When creating a physical design portfolio, make sure that you are presenting your work in a clean, professional manner. This may sound like a no-brainer, but we have had interviews where the designer has brought their work in an unorganized manilla folder (gasp!). Invest in a sleek folding canvas or leather portfolio to appear professional. 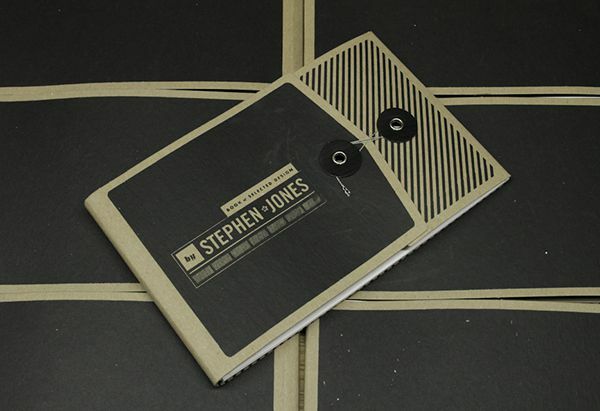 You can even take it a step further and personalize your portfolio, like designer Stephen Jones. Take pride in your work! Be sure that if you are using prints and not the original design that you are using HD photos. You want to showcase your designs in the highest quality possible. Whichever way you decide to go, present your work with confidence. Use our tips above create the perfect design portfolio that stands out. If you’re interested in more design resources and inspiration, don’t hesitate to visit us daily.